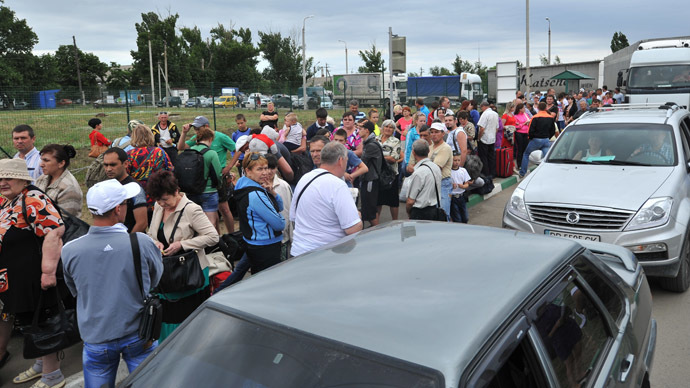 The number of Ukrainian refugees in Russia has reached 110,000 people, while the 54,400 others have been internally displaced, the UN’s refugee department stated. 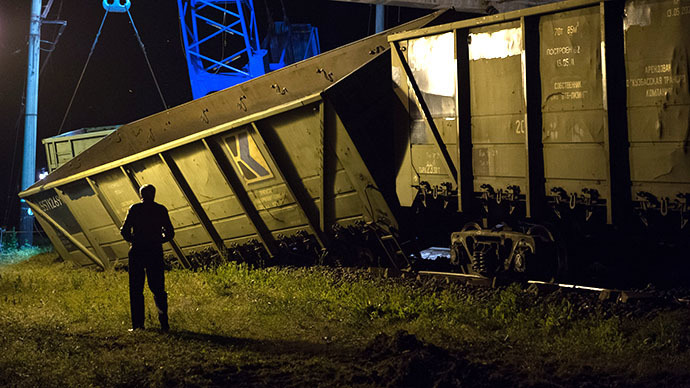 Some 16,400 people fled their homes in eastern Ukraine in the past week, many citing a deteriorating situation and fears of abduction, bringing the number of displaced within the country to 54,000. "We are seeing a sharp rise in (internal) displacement in Ukraine," Melissa Fleming, chief spokeswoman of the U.N. High Commissioner for Refugees (UNHCR), told a news briefing. 9,500 people have officially applied for the asylum in Russia Melissa Fleming said, while 700 others have gone to Poland, Belarus, the Czech Republic and Romania. Russia is taking “very good care” of refugees from Ukraine by helping them to cross the border and providing proper accommodation, the representative of the UN High Commissioner for Refugees, Baisa Vak-Voya, told RT, after visiting a refugee camp in the Rostov region on the Russian side of the border. "Russia is very favorable. The government is taking care of them very well. They cross the border in a very organized way. Those who have relatives there go to their relatives. Those who don’t go to the government organized tent camp, which is run by the Ministry of Emergency. To be honest, this is one of the most equipped and well-run and professionally managed camp I have seen,” he said. 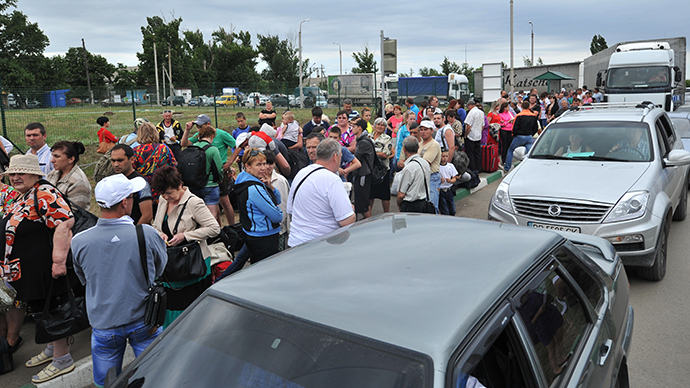 Russia's emergency ministry says over 16 thousand refugees have been housed in camps in Russia. 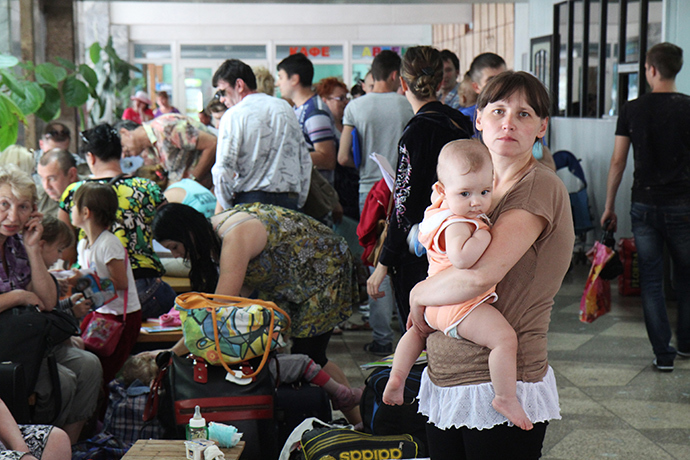 The Russian Emergency Ministry is ready to open over 1,000 shelters to host refugees from Ukraine in case it’s necessary, the deputy head of Russia’s Emergency Ministry, Vladimir Stepanov, told RIA-Novosti. More than 240 temporary shelters are currently open. 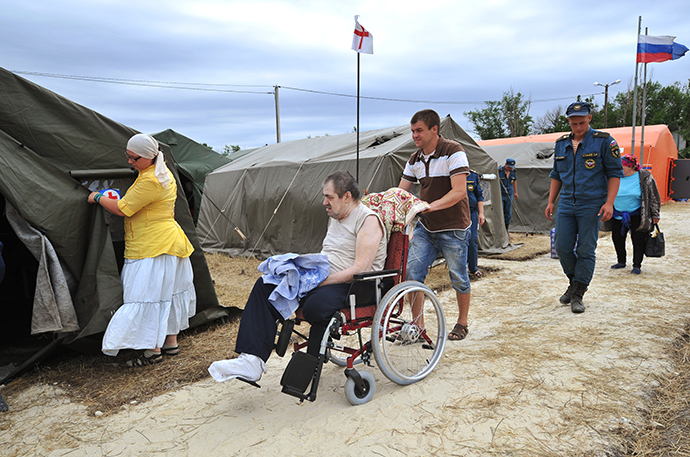 Stepanov stressed that the work to host the Ukrainian citizens is carried out constantly and the refugees are hosted in 26 of the 85 Russian regions. 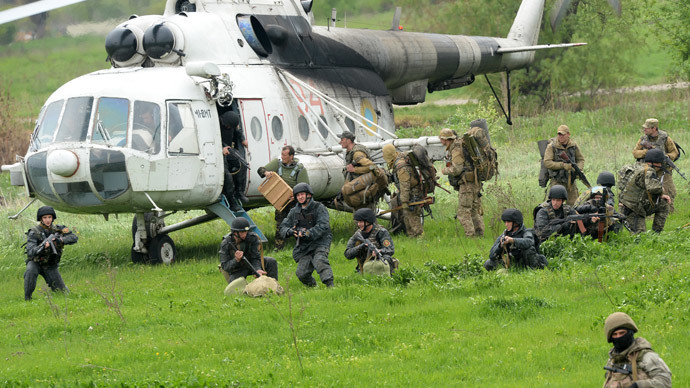 Also, President Vladimir Putin ordered the government to draft measures to help Ukrainian citizens in the conflict zone and who come to Russia. "I would ask you to think how we can help people, who found themselves in the conflict zone and who come to our territory. It is clear that the volume of refugees is such already that regions have difficulty coping on their own," Putin said at a meeting with government members.